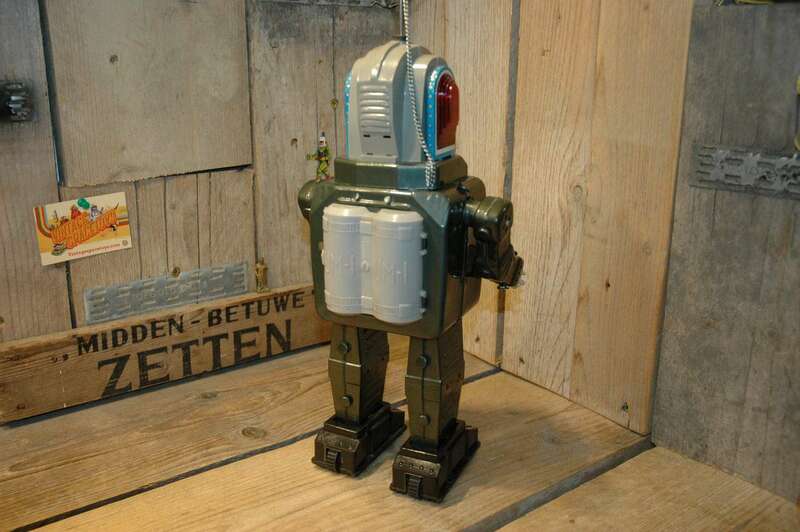 Besides this impressive robot there is Rocketman in Space armor and Missile Robot. 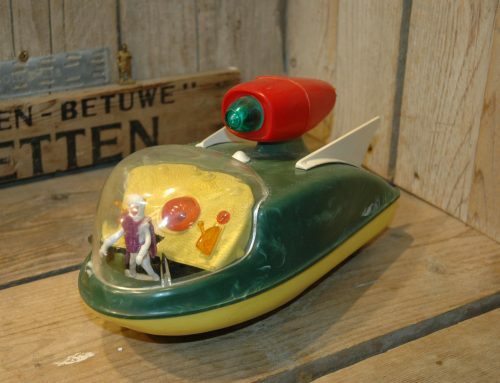 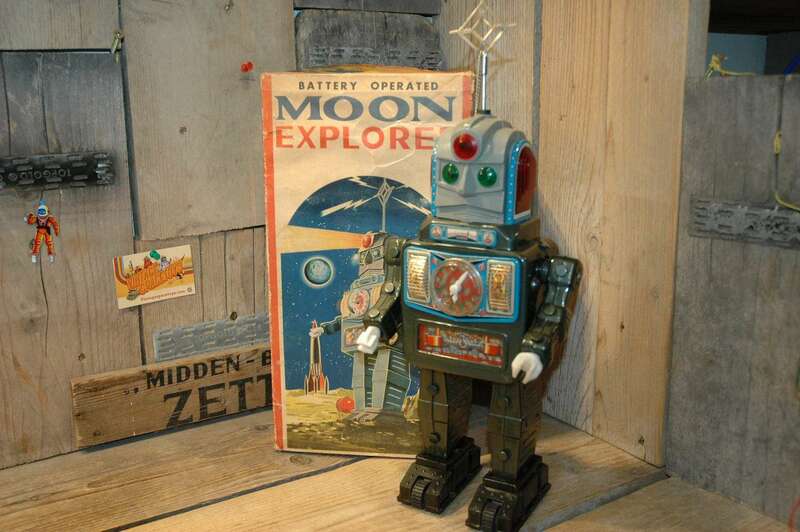 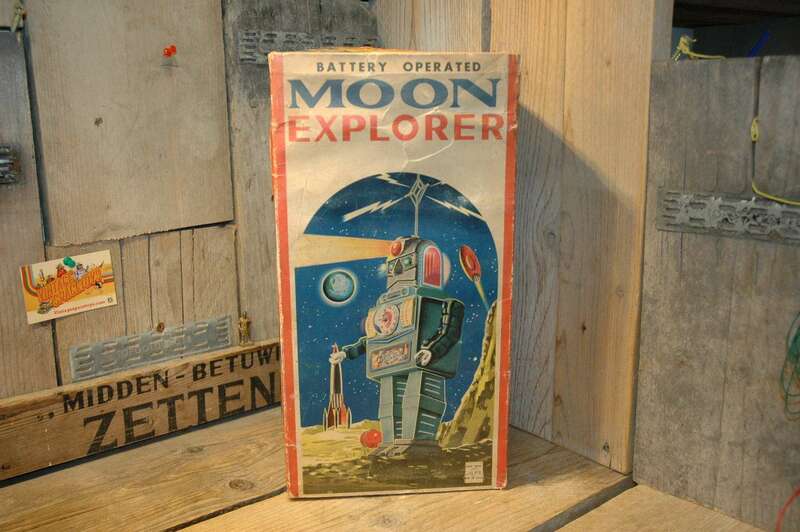 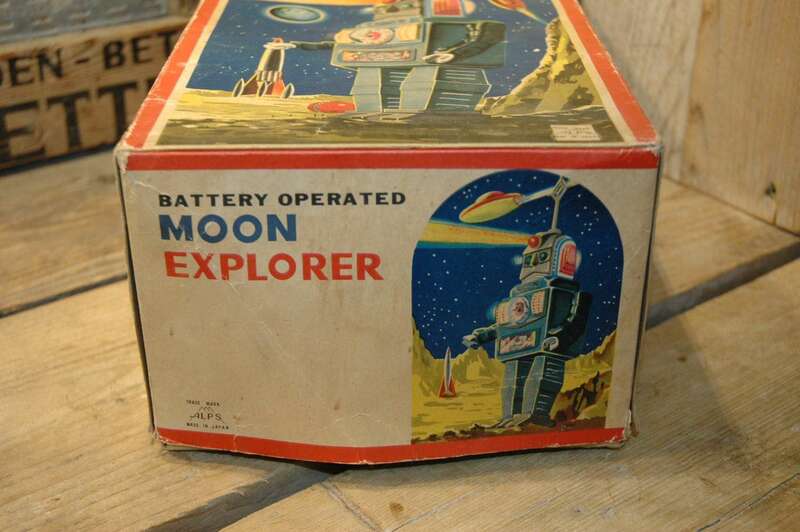 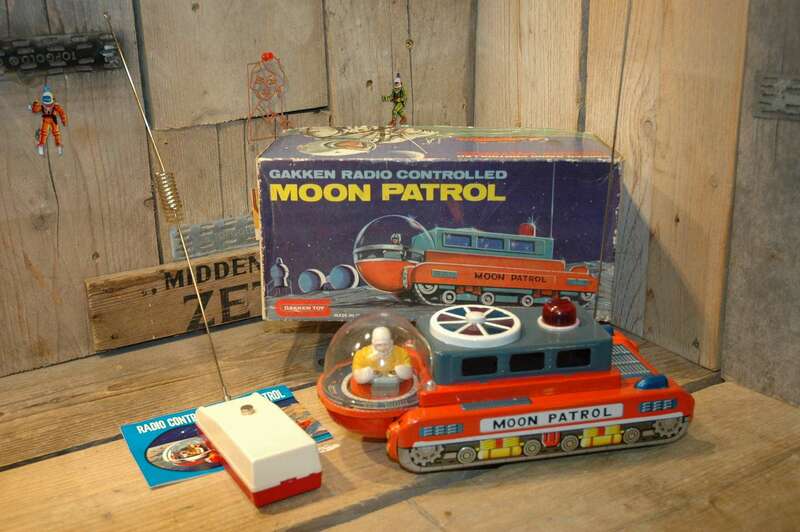 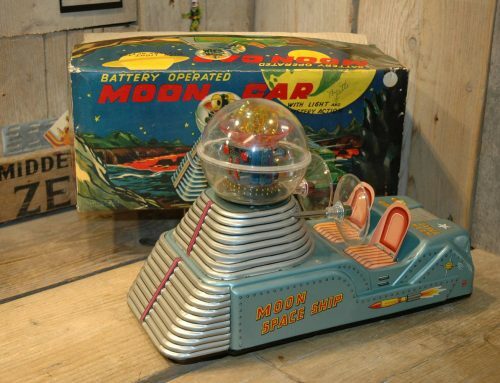 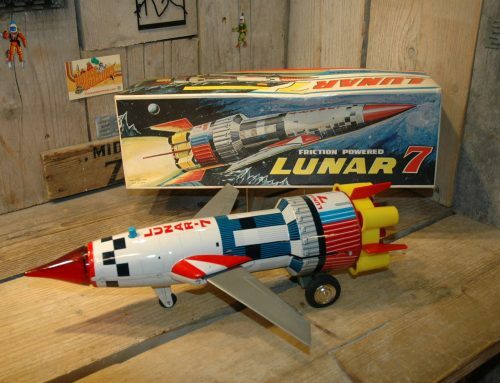 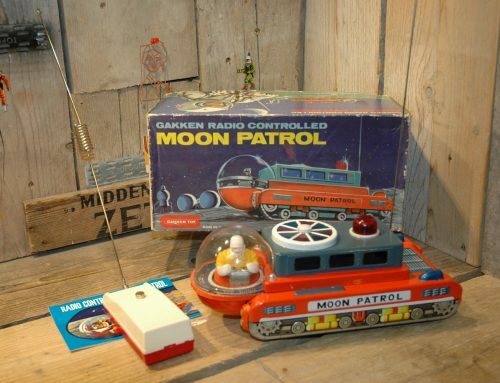 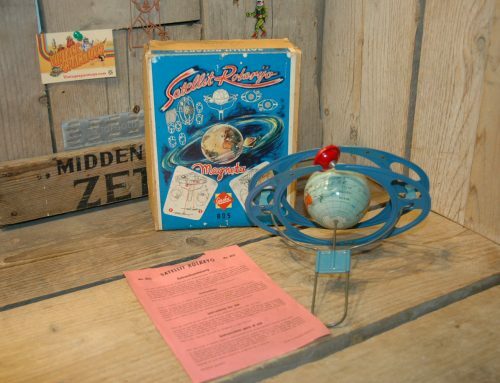 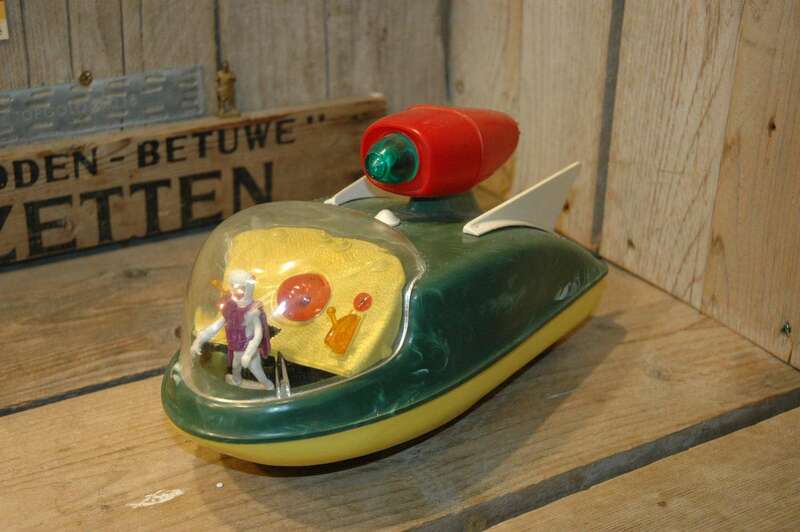 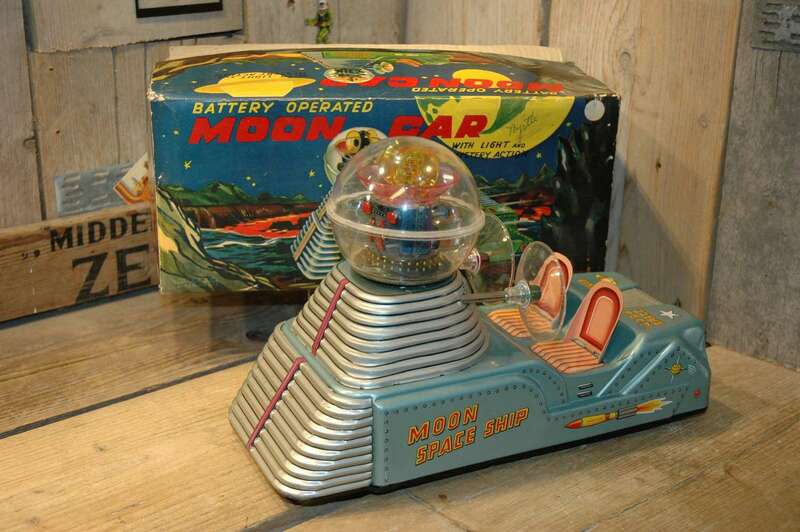 Alps Moon Explorer robot is made in Japan in the early sixties and i believe this was the first one that Alps produced. 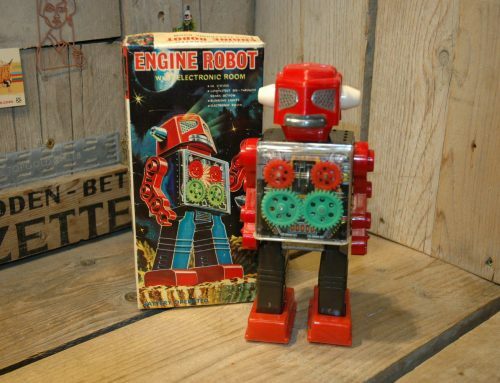 Made out of tin and plastic parts with amazing action, clock that rotates, blinking eyes, ears, moving pistons, swinging arms and walking with real robot sound. 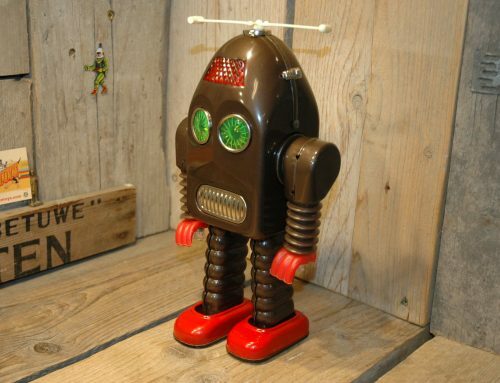 One of the best robots Japan ever produced in the golden age. 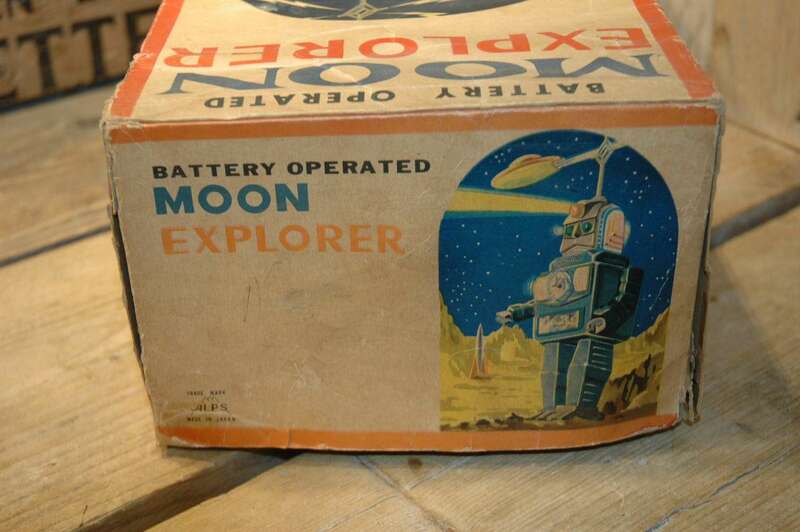 These Alps Moon Explorers are extremely hard to find in good working condition. 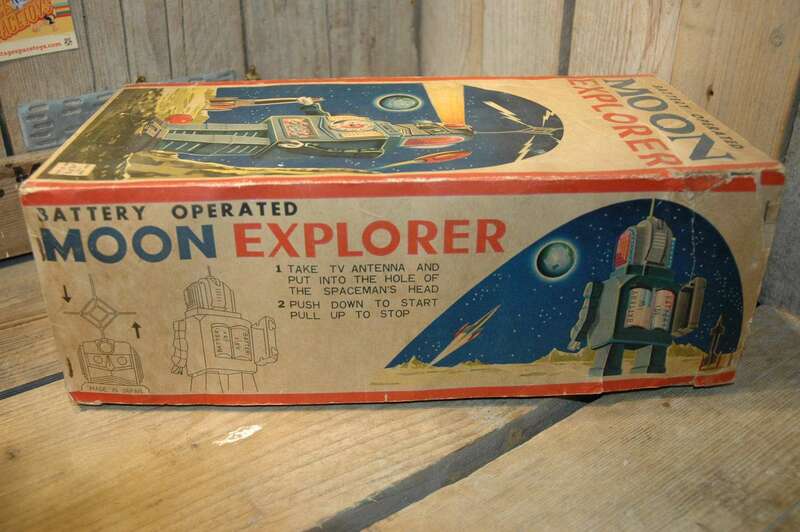 Because of a factory flaw, the clock got stuck and damaged the inside mechanism. 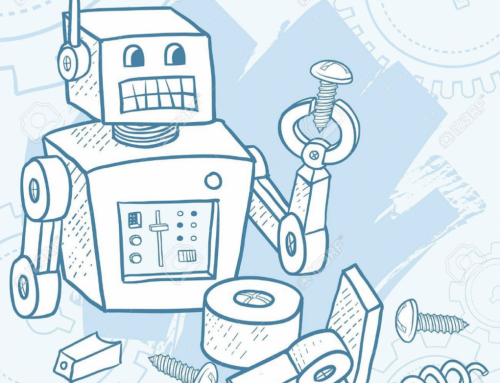 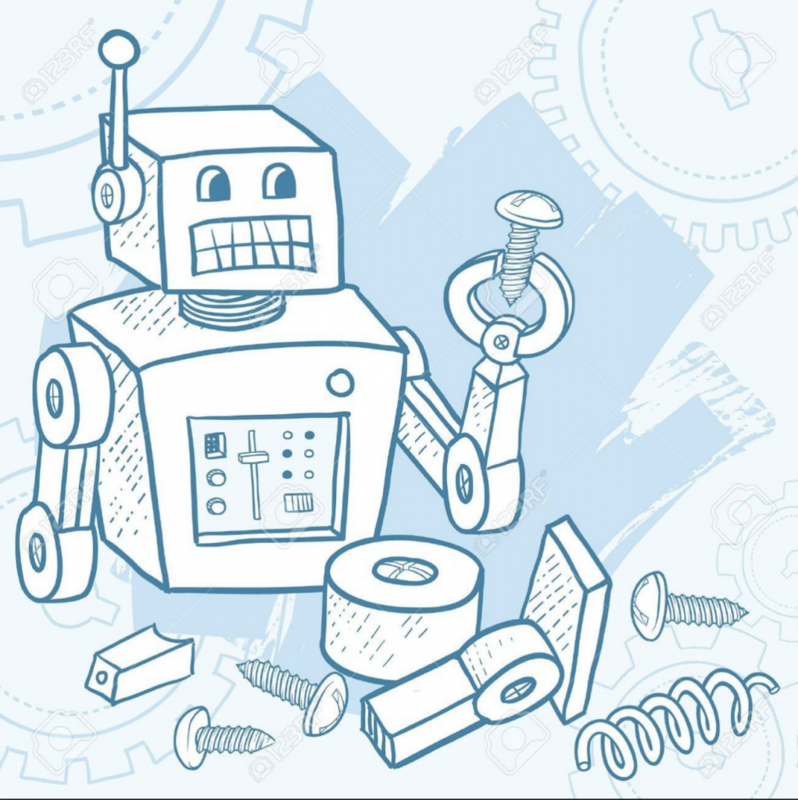 Therefore, only go for perfect working examples, repair of these robots is hard and costly. 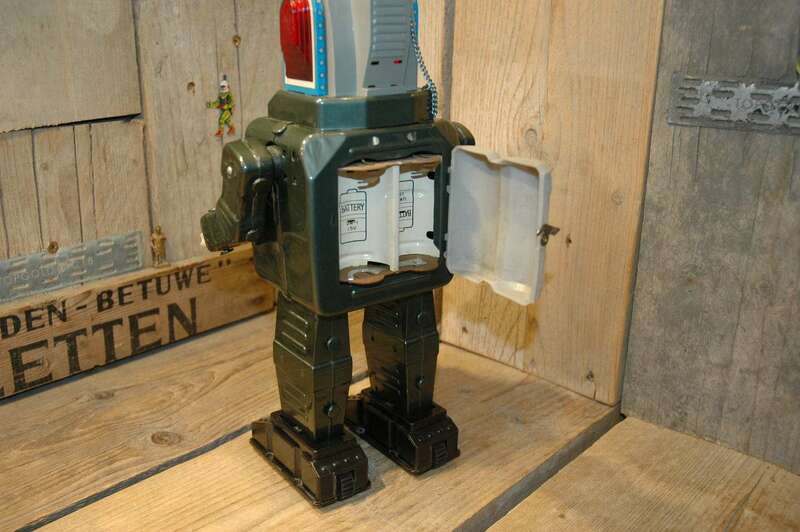 This example was part of a collection robots that I bought in Italy in 2014. 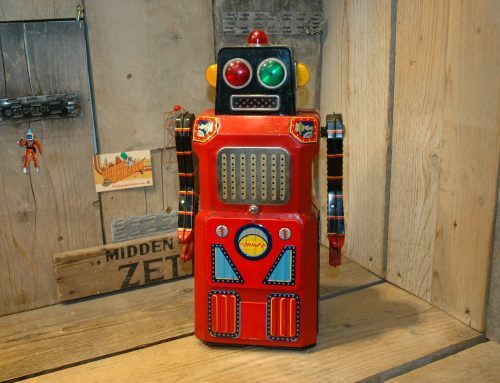 I can be pretty short about the robots condition: Near mint robot, all original and complete and in perfect working condition. 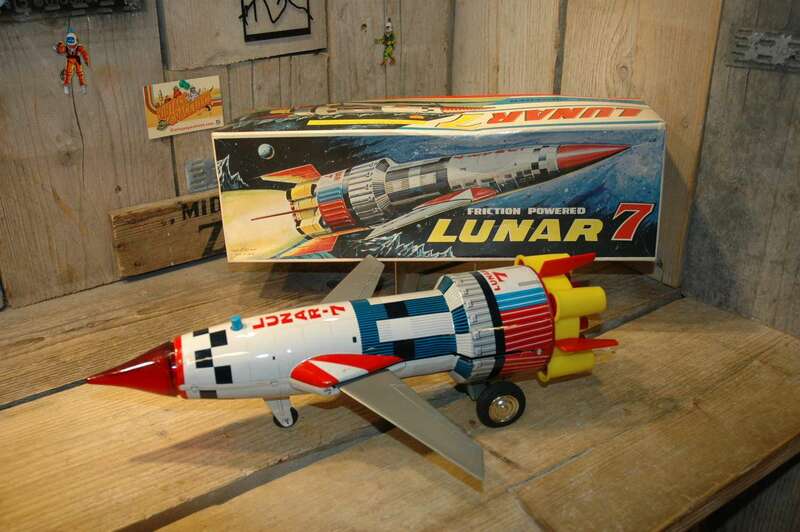 NO upgrade needed on this example. 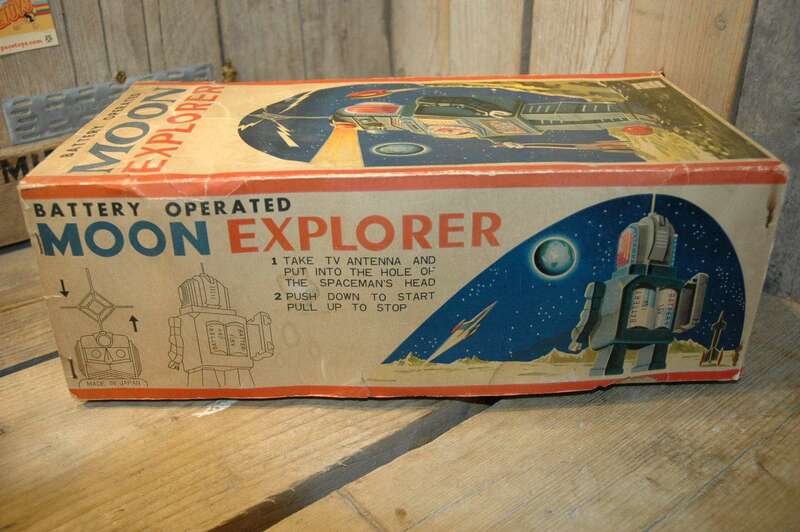 Accompanied by the seldom seen original box in excellent condition. 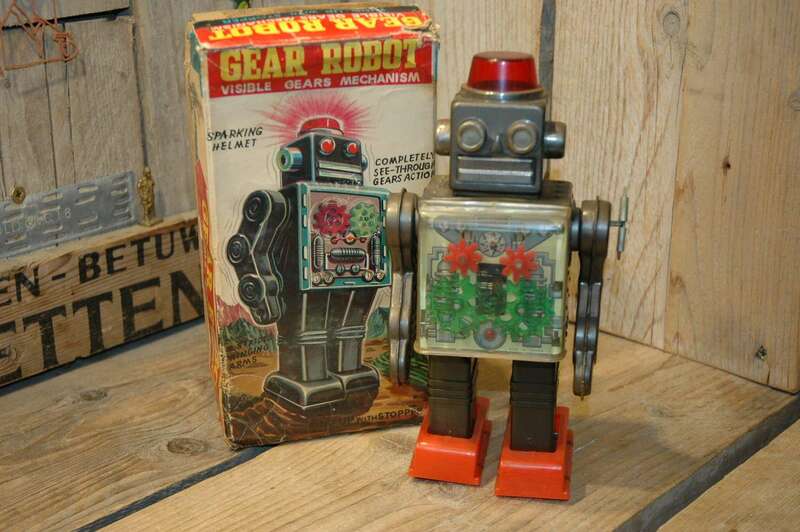 The box has a few minor tears and minor old tape repair on the inside but overall an above average example of this hard to find box for this robot. 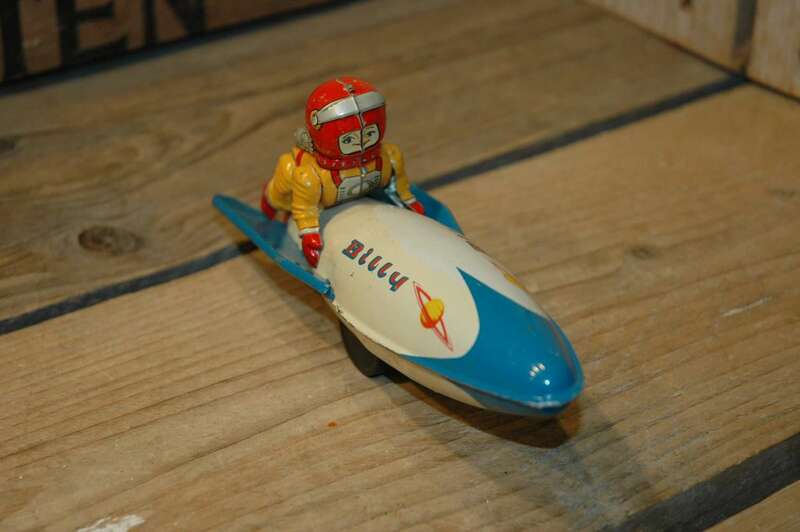 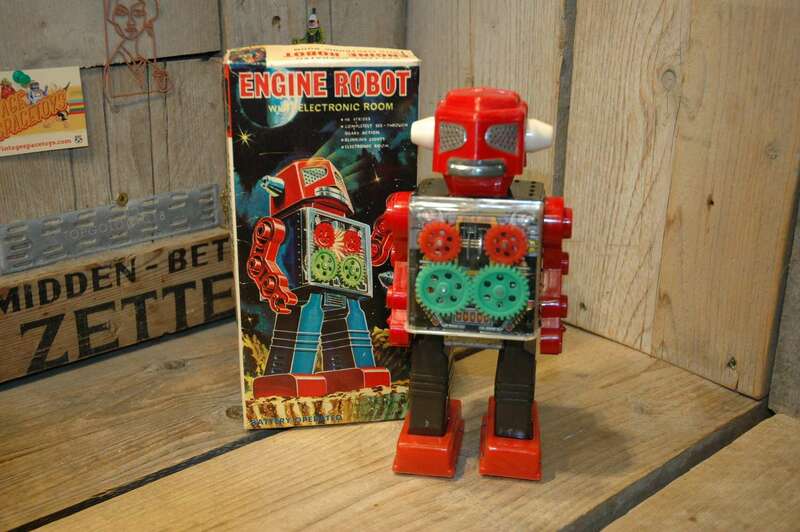 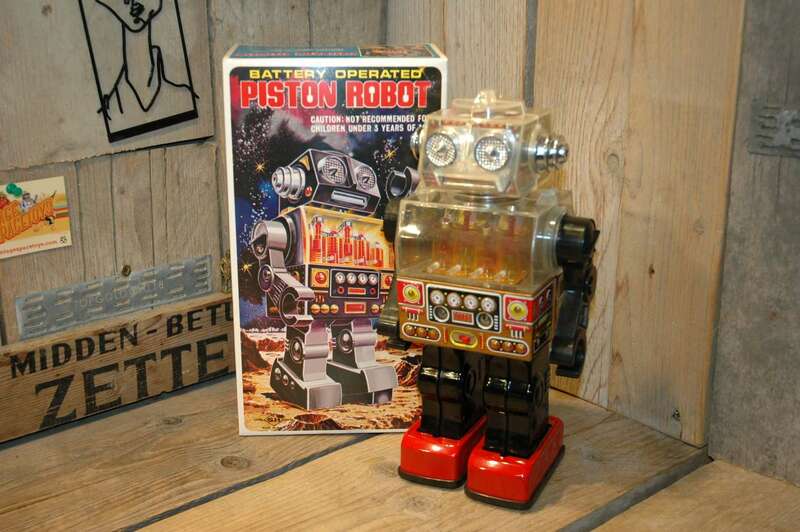 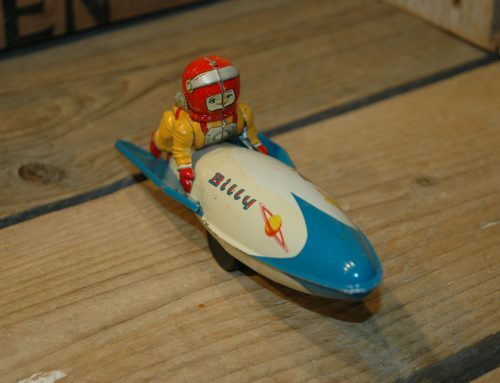 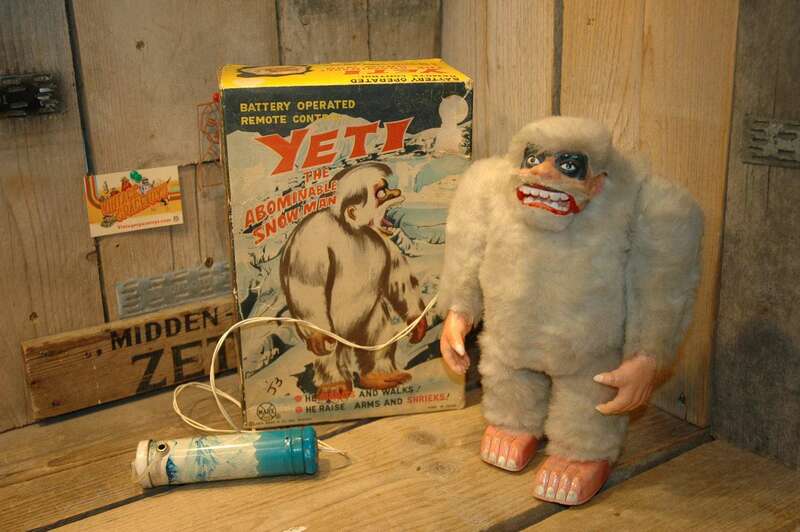 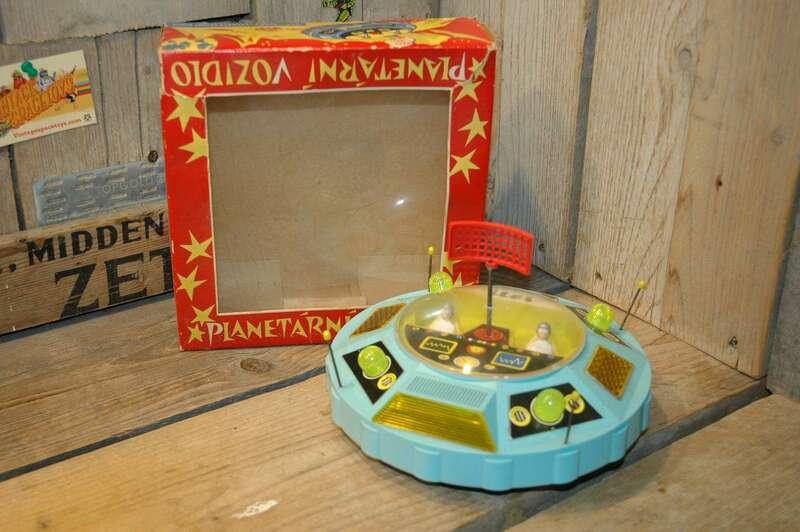 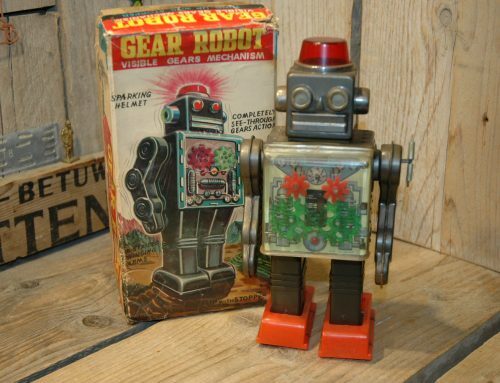 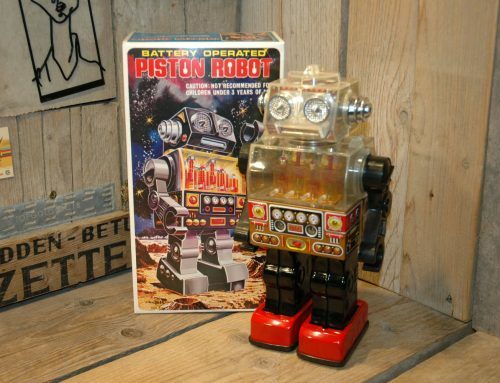 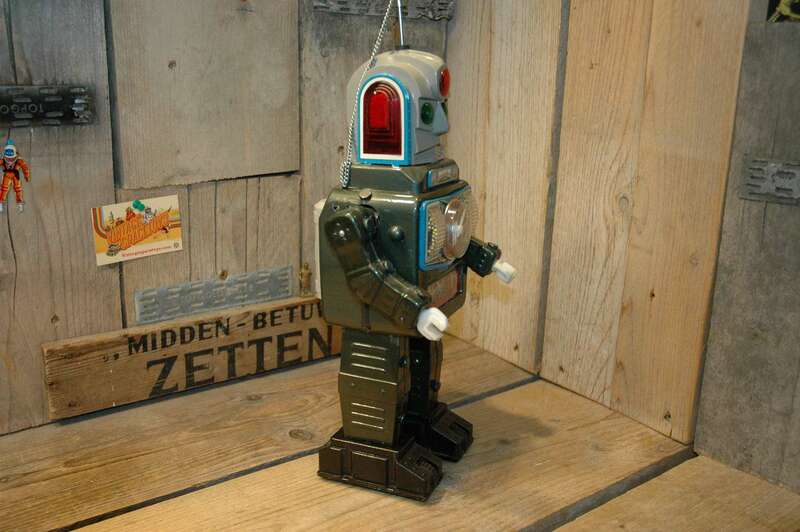 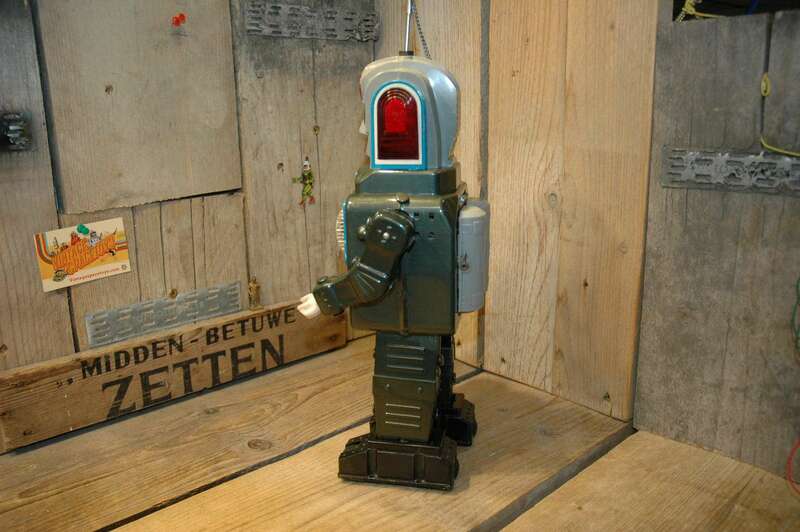 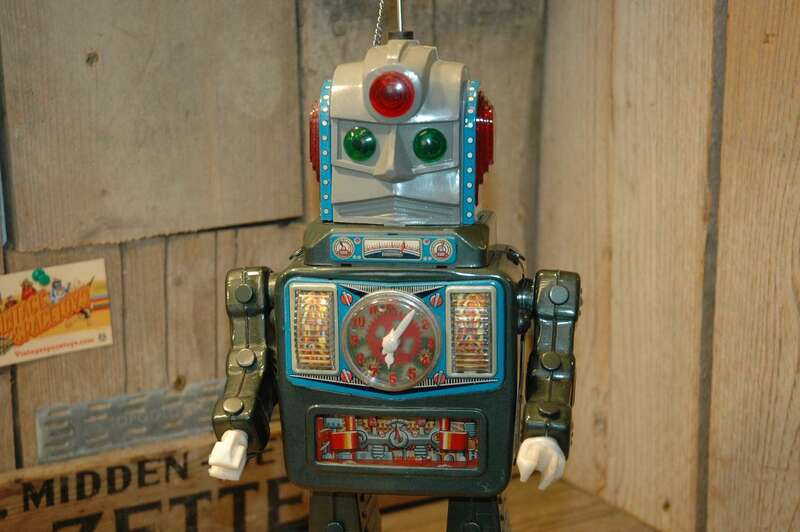 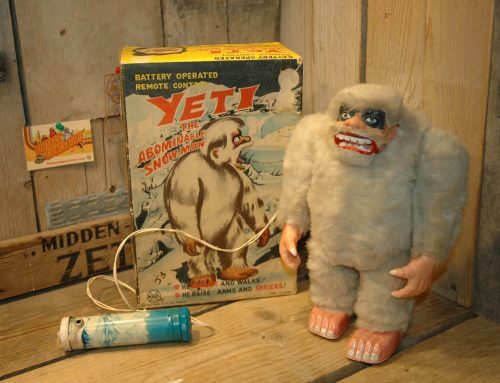 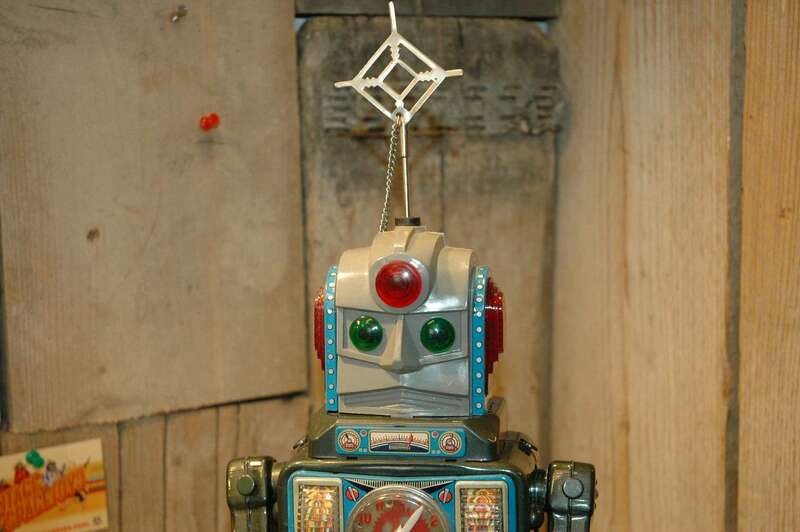 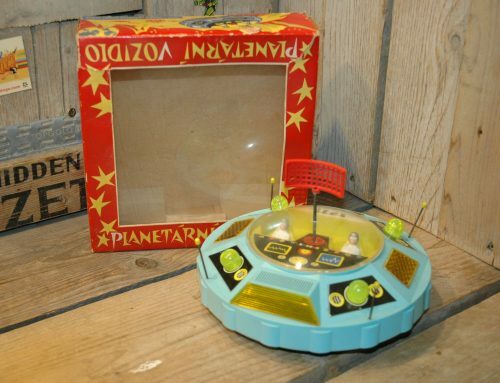 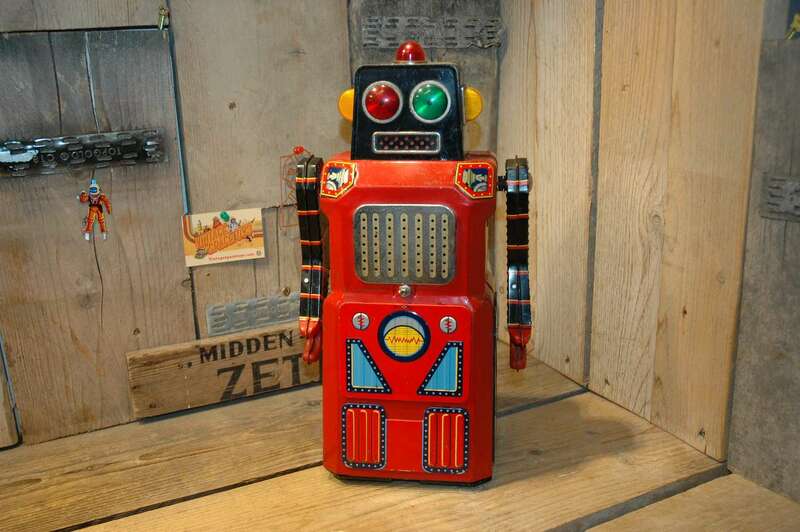 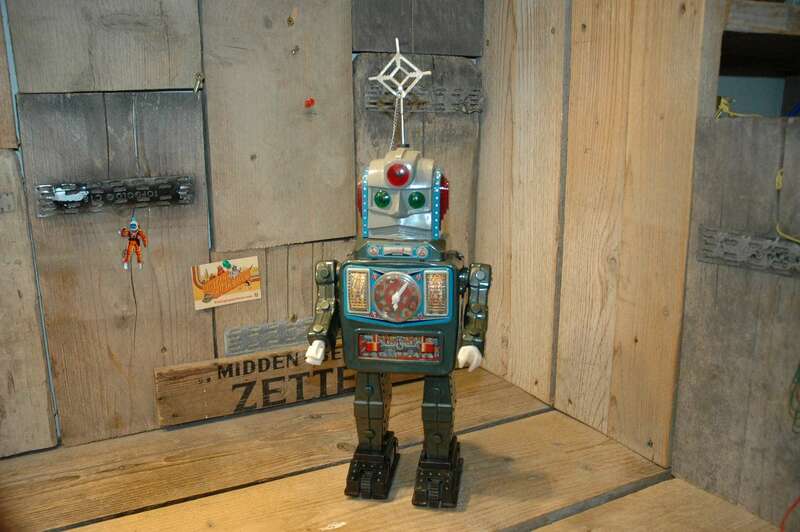 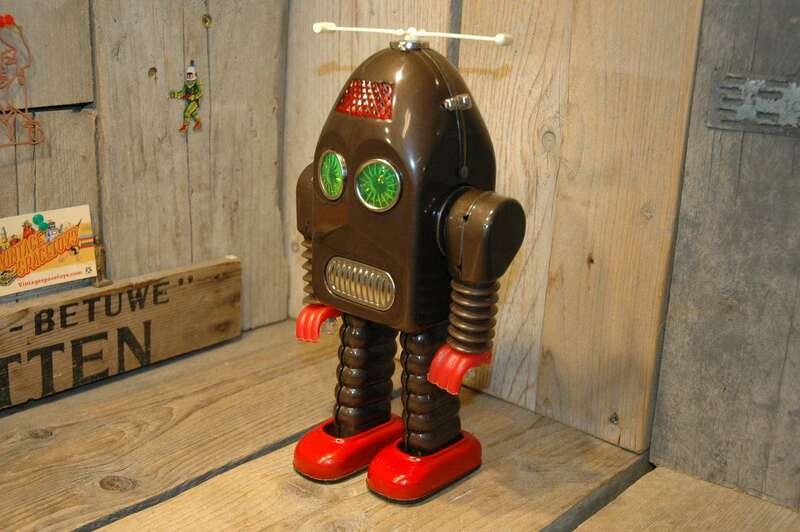 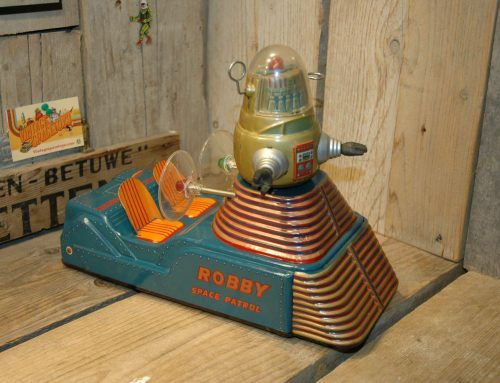 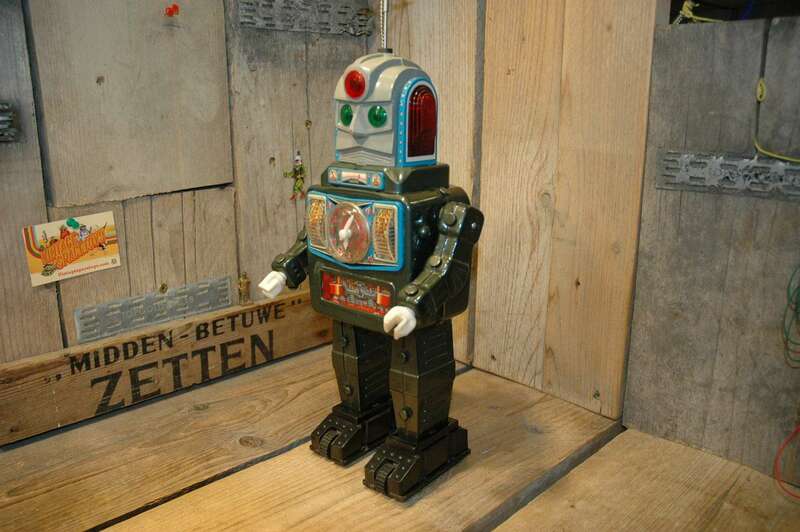 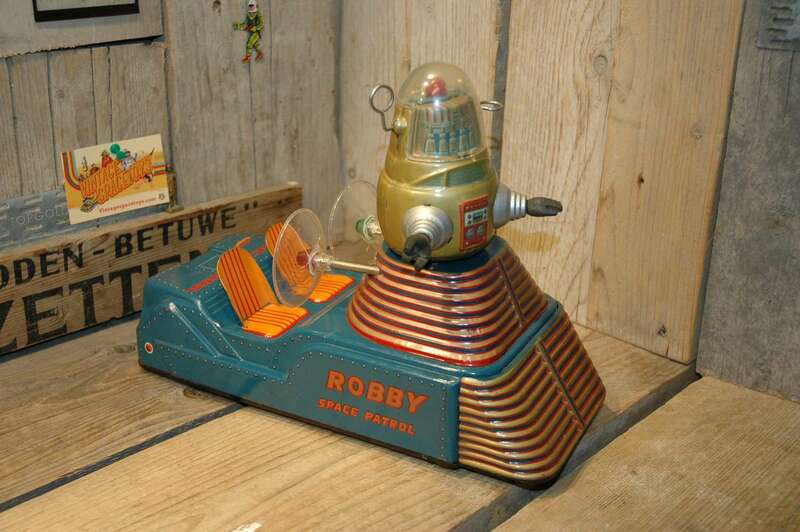 Hard to find in ANY condition… Scarce Robot and even more scarce box !